Measures of disease frequency quantify the burden and development of disease in populations. Two common measures of disease frequency are prevalence and incidence. Prevalence provides a snapshot of the amount of disease that is present at a specific point or period in time. 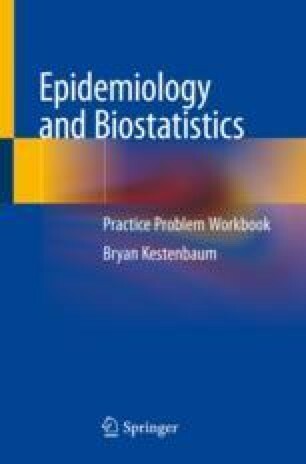 Prevalence data are useful for raising awareness of disease and allocating health resources but may be insufficient for establishing temporal relationships between potential risk factors and disease. Incidence describes the development of new disease over time. In a given population, the prevalence of a disease is proportional to the incidence and the disease duration.